The Federal Reserve is one of the most disliked entities in the United States at present, right alongside the IRS. Americans despise the Fed, but they’re also generally a bit confused as to why they distrust our central bank. Who Needs the Fed? makes a sober case against the Federal Reserve by explaining what credit really is, and why the Fed’s existence is inimical to its creation. 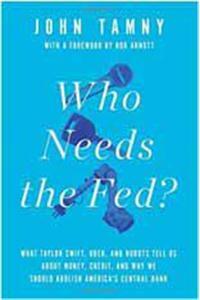 Readers will come away entertained, much more knowledgeable, and prepared to argue that the Fed is merely superfluous on its best days but perilous on its worst.